Consuming fruits and vegetables provide copious health benefits. Produce consumption has been shown to lower the risk of developing various chronic conditions and is protective against certain types of cancer. Experts recommend consuming a rainbow of colored produce to provide the various vitamins and minerals that are essential to maintain optimal health. 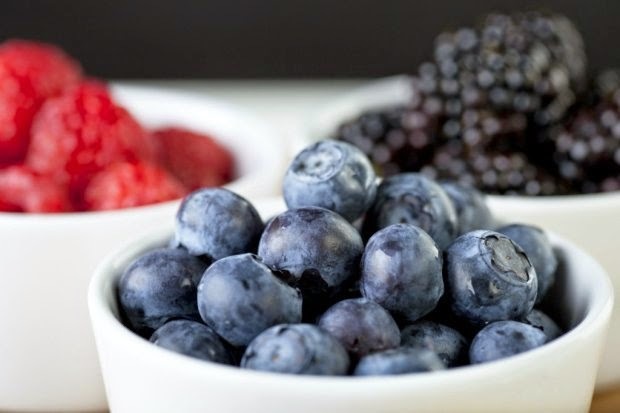 Do your body and taste buds a favor and choose to add blueberries into your diet. Blueberries are packed with nutrients which provide many health benefits. Get 25% of your daily vitamin C requirements in 1 cup of blueberries. Vitamin C is essential for tissue growth and repair, keeping gums and teeth healthy, and aids in iron absorption. Vitamin C is also an antioxidant which can neutralize free radicals. Free radicals are responsible for the aging process on the body and may play a negative role in cancer, heart health, and inflammatory diseases such as arthritis. One cup of blueberries contains 25% of your daily manganese requirements. Manganese is essential for tendon and skeletal development and may play a role in blood pressure, fertility, reproduction and energy production. Obtain about one third of your daily vitamin K requirements by consuming 1 cup of blueberries. Vitamin K is essential in blood clotting. Blood clotting is important to prevent excessive bleeding with an open cut. Studies also suggest that vitamin K may also be involved in calcium metabolism and in maintaining bone health. Anthocyanins are compounds that provide blueberries with that rich blue/purple color. Studies suggest that, due to its antioxidant properties, anthocyanins may play a role in decreasing the risk of cancer, cognitive decline and heart disease. The disease-fighting powers of Anthocyanins is one of the many reasons experts, such as the Academy of Nutrition and Dietetics, recommend consuming a rainbow of different colored fruits and vegetables. 1 cup of blueberries contains 4 grams of fiber. Fiber is essential for bowel health because it promotes bowel regularity and reduces constipation. Fiber not only regulates blood sugar and helps with satiety, but it can also reduce blood cholesterol. Reducing blood cholesterol can help lower the risk of developing heart disease, diabetes, and diverticulosis. 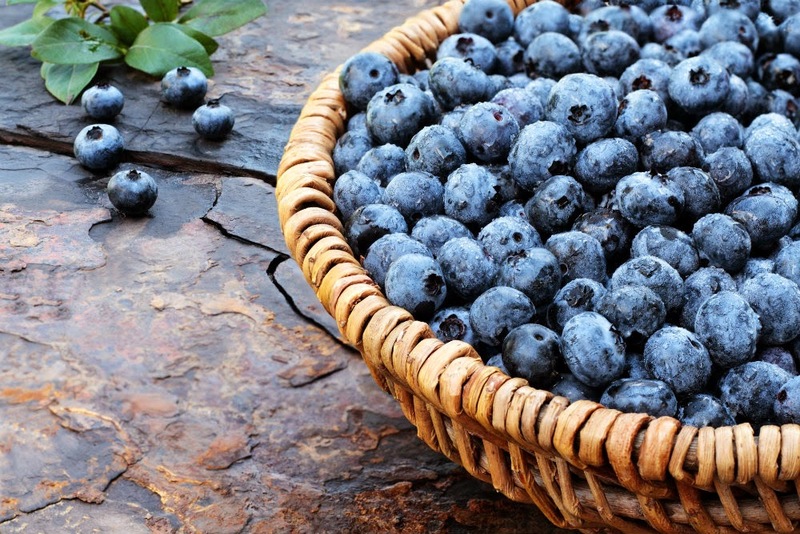 One cup of blueberries provides only 85 calories and essentially no fat and cholesterol! Blueberries make a great snack (and treat!) for individuals trying to lose weight due to the low calorie content. Blueberries make a good heart healthy snack because they are low in fat and cholesterol. Consuming excess cholesterol can cause plaque to build up in the arteries which could lead to a heart attack or stroke. For being low in calories, fat, and cholesterol, blueberries are packed with nutrients and antioxidants-making it a great snack to add to your diet. Not only is it a great food for weight-conscious individuals, but blueberries are also great for those whom want to eat a heart and bone healthy, bowel friendly, and antioxidant rich snack.